OR IMPROVE YOUR CRAFT AT ANY SKILL LEVEL! THIS WORKSHOP IS A RUDIMENTARY CLASS WHERE YOU LEARN THE ESSENTIALS OF WIG-KNOTTING. IT IS BEST SUITED FOR ONE WHO HAS A PREVIOUS UNDERSTANDING OF WIG-KNOTTING, BUT NEEDS HELP REFINING & PERFECTING THEIR TECHNIQUE, OR FOR THOSE LOOKING FOR A BASIC UNDERSTANDING OF KNOTTING. 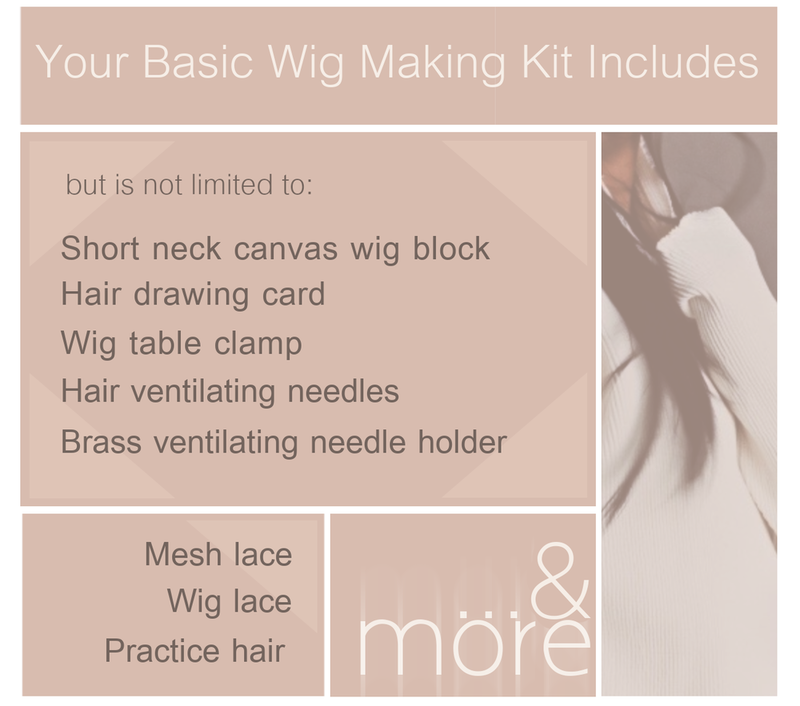 All Wig-Making items are available for use upon arrival but you have the option of bringing your own supplies. A GREAT INTRODUCTION TO THE WORKS OF PROFESSIONAL WIG-MAKING. IN THIS WORKSHOP YOU WILL LEARN THE BASICS OF WIG-MAKING & LEAVE WITH A REFINED BASELINE OF KNOWLEDGE IN THE ART. OUR PREMIUM WORKSHOP IS CONSIDERED MORE ADVANCED IN THE LEVEL OF SKILL ACQUIRED. YOU WILL LEAVE WITH A WELL ROUNDED KNOWLEDGE OF OVERALL WIG-MAKING. OUR SELECT WORKSHOP IS A TWO DAY INTENSIVE COURSE YOU WILL LEAVE WITH A THOROUGH UNDERSTANDING OF THE ART OF WIG-MAKING & A FULL KNOWLEDGE OF PERSONAL TECHNIQUES MASTERED BY OUR VERY OWN ‘THATWIGGUY,’ RESULTING IN THE MOST NATURAL HAIRLINE & PARTING IMAGINABLE. YOU WILL ALSO RECEIVE OUR MASTER WIG-MAKING KIT WHICH INCLUDES ALL YOU WILL NEED FOR YOUR HAND-MADE WIG-MAKING BUSINESS. A non-refundable 50% deposit is required to preserve your workshop date at least 15 days prior to all courses for non local students. For traveling workshop pricing call for more information. International workshops require a class minimum of 3 people. 1 on 1 workshops are an additional+$250 on any level of workshop chosen.